Sailing doesn’t stop with our camps. 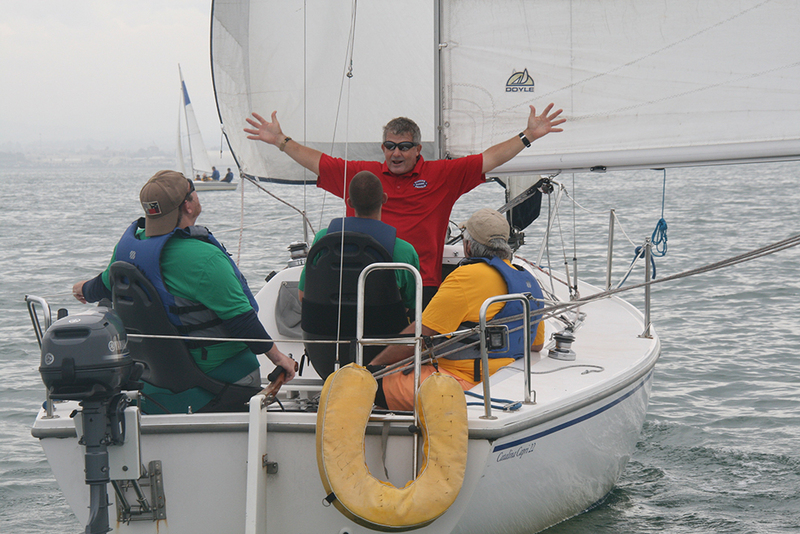 In fact, we encourage all of our participants to get involved with their local sailing communities. Beyond our training camps, Warrior Sailing offers our graduates unique opportunities to get on the water, learn new skills, become part of the sailing community and have a blast all at the same time. Check out some of these opportunities here. An annual event taking place in San Diego, CA, the National Veterans Summer Sports Clinic (NVSSC) promotes rehabilitation of body and spirit by teaching summer sporting activities to Veterans with significant physical or psychological impairments. A variety of sports are available and the Warrior Sailing staff team takes the lead on offering sailing to the 100+ Veterans in attendance. 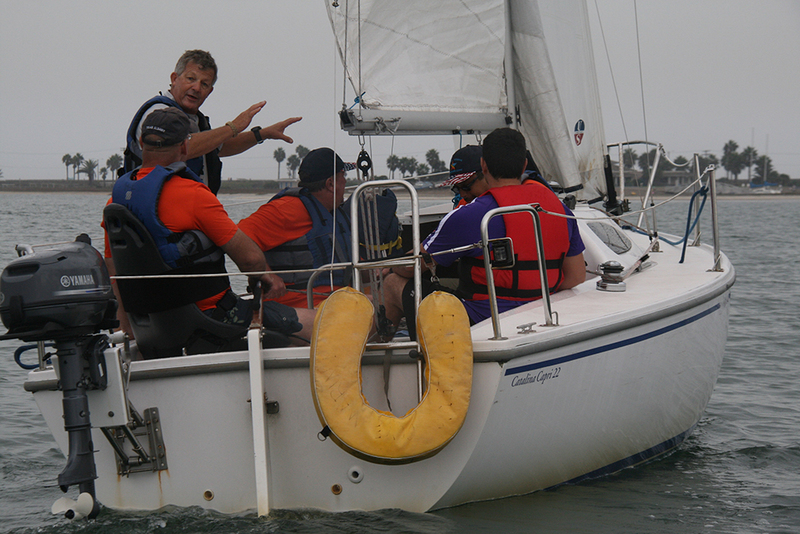 A one-day version of our Basic Training Camp, the NVSSC gives Veterans exposure to the sport and to our program. Many attendees then go on to register for future training opportunities with Warrior Sailing. 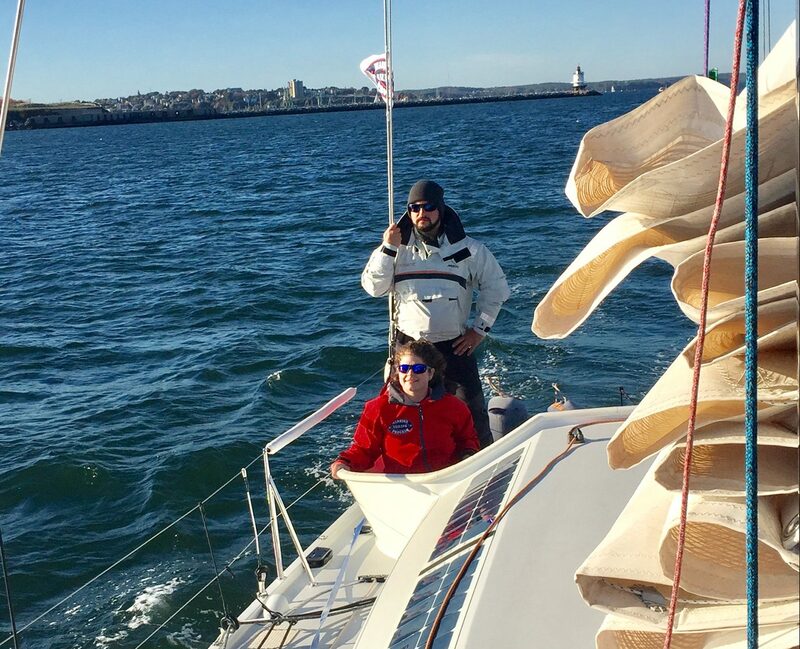 As a program of the USMMA Sailing Foundation, Warrior Sailing has access to a wide variety of opportunities for training camp graduates to learn about the sailing industry. One way we engage our Warrior Sailors beyond our camps is to invite them to take part in USMMA Sailing Foundation vessel deliveries. Deliveries are often multi-day offshore undertakings that give the Warriors hands-on learning and a realistic view of what it takes to run a large vessel. All deliveries are supervised by experienced, professional, Captains whom typically have also served as Warrior Sailing Coaches. By serving as crew onboard vessel deliveries, Warriors are able to log hours toward certifications and possible employment credentials. This summer, Warrior Sailing established ourselves on the great lakes aboard the Farr designed Warrior 53′ and Nelson-Marek Warrior 43′. Working out of Traverse City, Warrior 43′ serves as a platform for weekly racing, veteran day sails, and training. 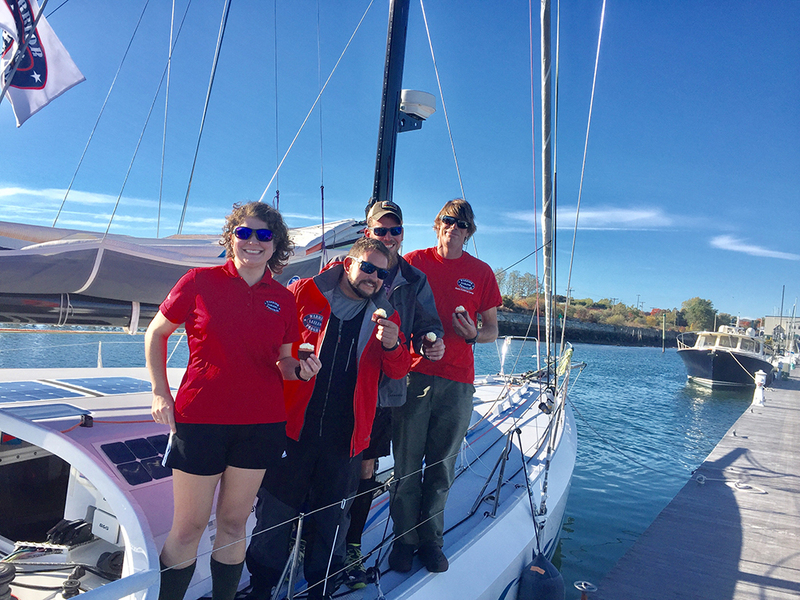 The other vessel, Warrior 53′ campaigns across the lakes, competing in world-class events like the Chicago Yacht Club’s Race to Mackinac and the Little Traverse Yacht Club’s UGotta Regatta. 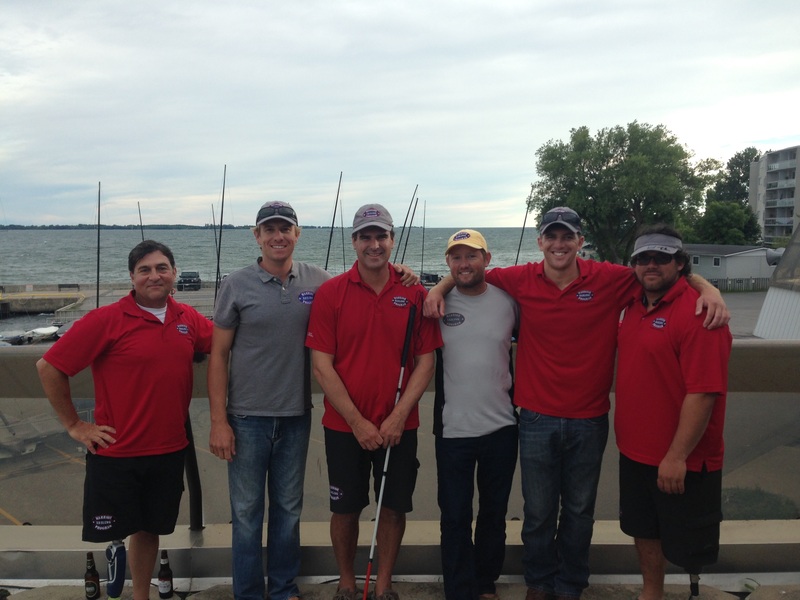 Our professional coaches, paired with a team of 7 to 8 warriors spend the summer training on Lake Michigan – introducing program graduates to the world of offshore racing. 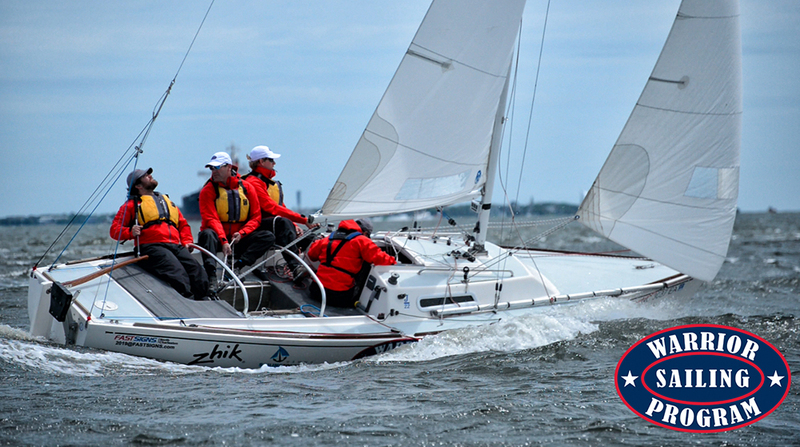 Charleston Race Week is an annual regatta that is the largest keelboat regatta in the United States. The continually growing event has a unique flare that takes on the characteristics of the southern hospitality charm of the city of Charleston, South Carolina at “one of the best regatta venues in the sport.” Warrior Sailing has attended this regatta for two consecutive years in the small keelboat fleet of J22’s and in the large boat fleet with the Foundation’s largest sailboat, 84’ Metolius. 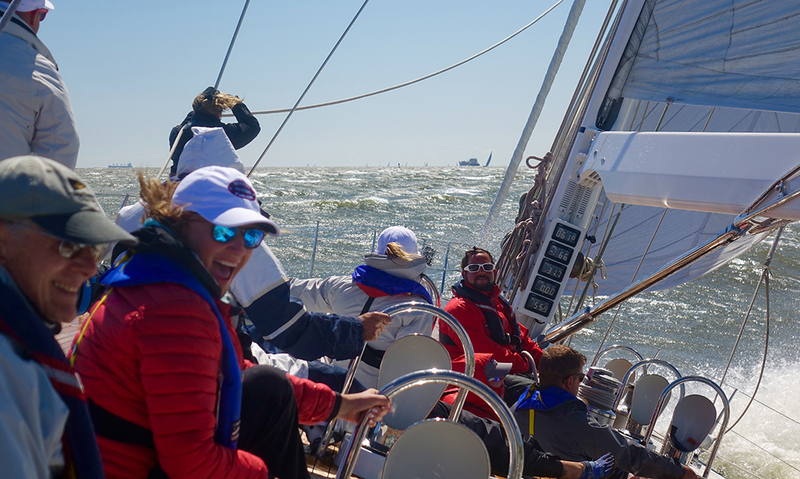 Warrior Sailing’s participation in Charleston Race Week highlights the additional sailing opportunities provided to camp graduates. 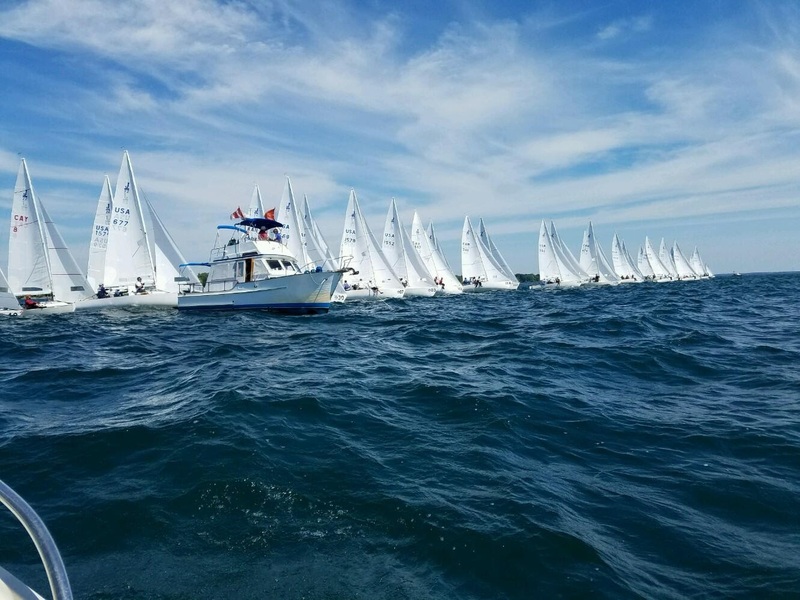 Not only do the participants increase their sailing skills during this event, but also had the opportunity to grow their network within the sailing community by being present at this largest regatta in the United States. Check out the videos below to learn more. 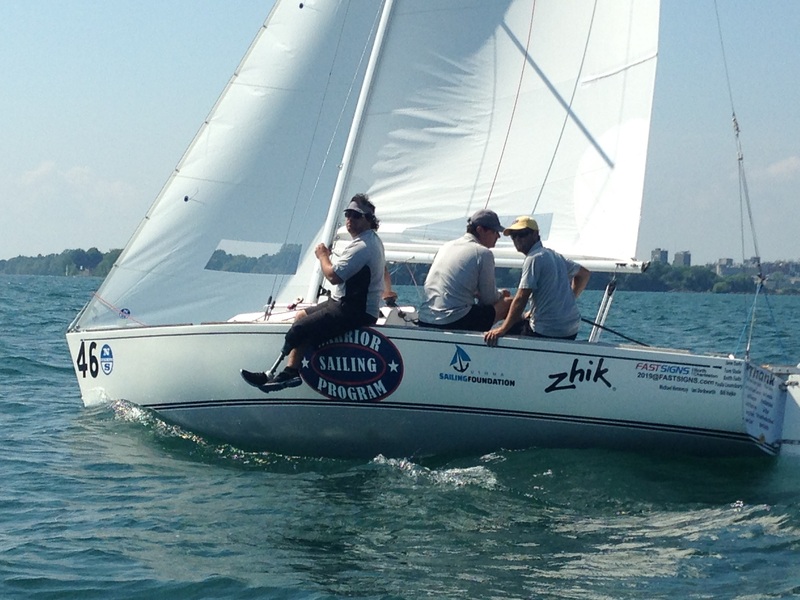 The J22 World championship was held in August of 2016 in Kingston, Ontario Canada. A competitive team of warrior graduates trained for one full year to compete in this world championship. The Warrior team of 2 graduates and coach Ed Norton competed in the ‘open regatta’ and were the only team with crew who have a disability. 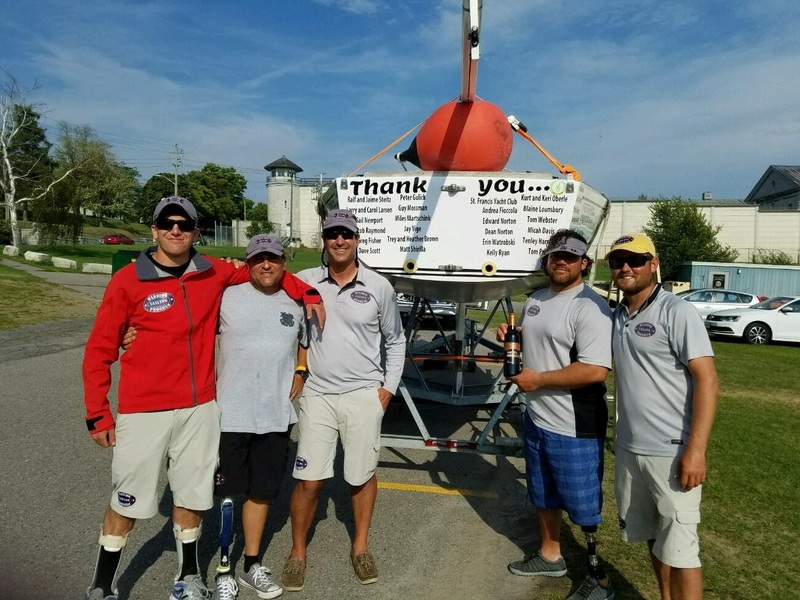 The team was also accompanied by 2 shore support warriors who helped with logistics and learned about competing in an international event. The team had 2 top ten finishes and finished 30 out of 41 competitors. This was a tremendous accomplishment with only three years of sailing experience by the two warriors sailing aboard the Foundation owned J22. The Atlantic Cup presented by 11th Hour Racing is a hard-fought, intense double-handed, offshore race held on the eastern seaboard of the United States in the even years. With over 1,000 nautical miles of offshore racing, the Atlantic Cup is the longest offshore race in the Western Atlantic. With three different stages, a long distance leg, a sprint leg and a crewed inshore series, the Atlantic Cup is one of the toughest sailing races around. In addition, the Atlantic Cup provides shore-based activities for fans of all ages plus it is the most environmentally sustainable sailing race in the U.S. 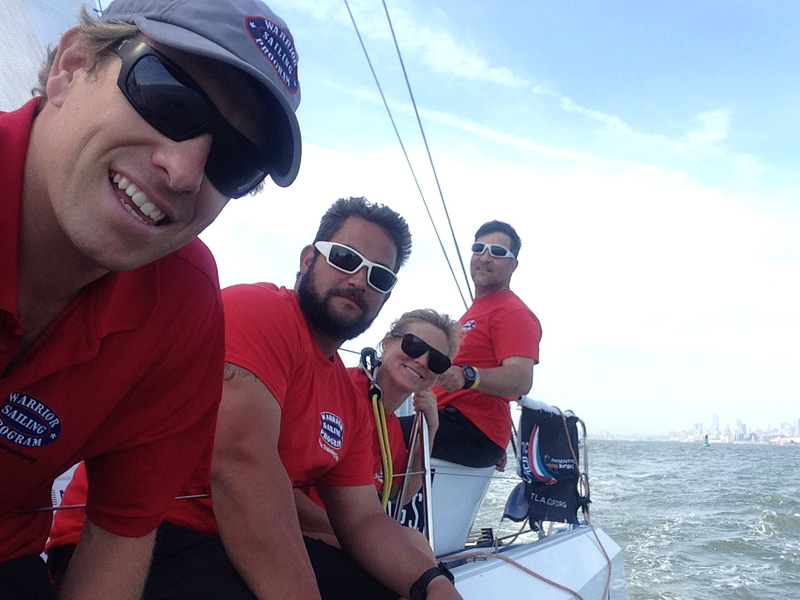 The Atlantic Cup starts in Charleston, stops in New York City, and ends in Portland, Maine. The organizing group for the event, Manuka SEM, took a group of warriors as volunteers to see the ‘behind the scene’ event planning for this popular offshore sailing race. 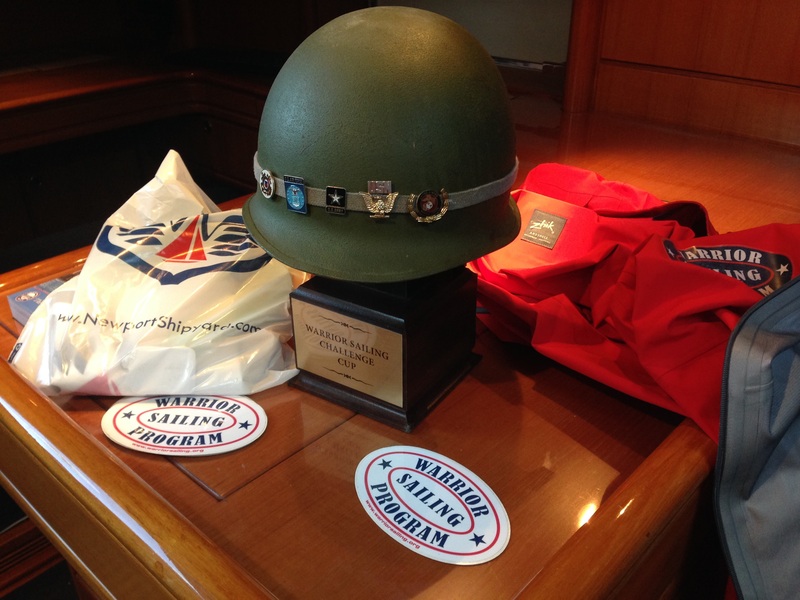 The implementation of the Warrior Sailing Challenge Cup was introduced during the offshore leg from Charleston to New York City. 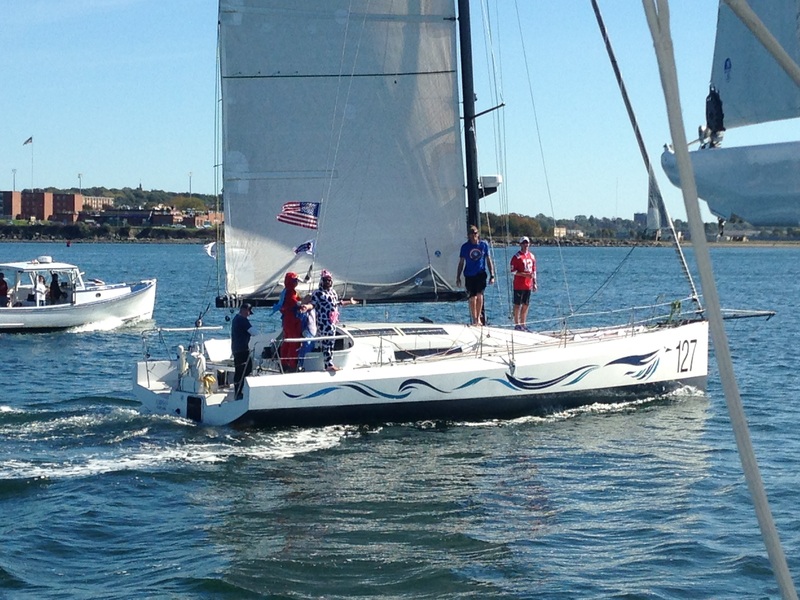 The culmination of this challenge cup was participation by Warriors aboard one of the race boats, ‘Amhas’, during the Pro-Am day racing in New York City Harbor. 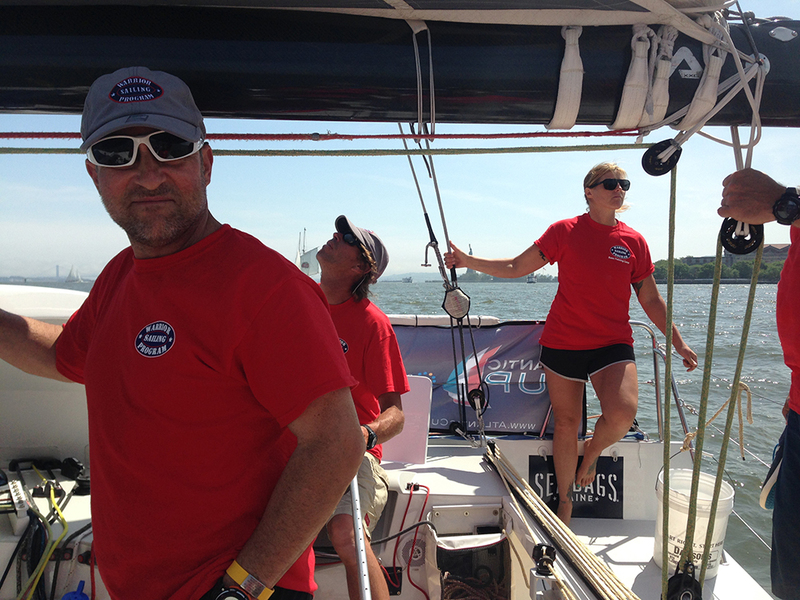 The Warriors were aboard for the day race raising money and awareness for future Warrior Sailors. It was a great introduction to larger format racing boats and a great way to be introduced to a network of sailors. In the wake of the 2001 terrorist attacks on the World Trade Center, Pentagon, and in the skies over Pennsylvania, a few local sailing enthusiasts scrambled to organize a regatta to honor and support those impacted by this tragedy. The first Sail For Pride Regatta rallied over 180 boats in Newport, RI and $110,000 designated for charities to support the NYFD firefighters, police and the victims of the attacks and their families. The display of patriotism and generosity on and off the water made a lasting impression in the sailing community. After the inaugural year, the organizers retired the name Sail for Pride, but continued the event as Sail For Hope, reflecting the Rhode Island state motto and aimed at supporting local charities. Charities supported over the years have included RI Red Cross, Seamen’s Church Institute, Newport Harbormaster’s Emergency Equipment Fund, local public high school sailing teams, US Olympic Sailing Trials and many more, including a huge fund-raising year in 2005 after Hurricane Katrina’s devastation of New Orleans and the Gulf Coast. To date, over $1,000,000 has been raised for various charities. Warrior Sailing has been honored to be one of the charities for this event. Bringing warriors and staff to sail aboard a Foundation vessel and a generously donated Class 40 race boat during the Sail for Hope event. 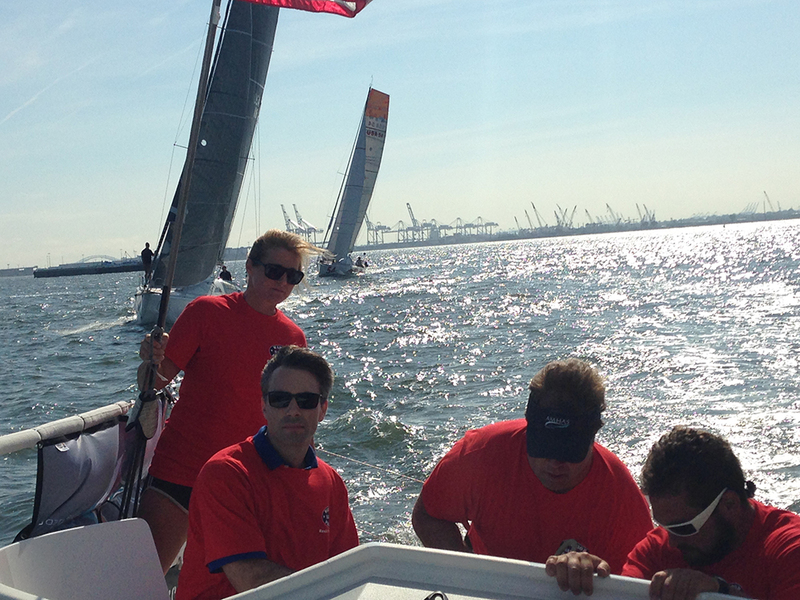 The one day regatta was a chance for graduates to sail in Newport and also raise awareness for the program.